Hey, what do you know? This little project, john link movies, hits 900 movie rankings with this post. I try to do something of substance when I see I’m hitting a number with a couple of zeroes in it, and PSYCHO has been on my mind lately. I’m teaching a class of high school students who will be, in turn, teaching a full day symposium to the rest of the high school in January. That class has been pitching each other literary ideas, and one student made an inspired case to have us read and teach Robert Bloch’s novel Psycho. With it on the brain, and with Halloween coming up, now seemed like a great time to revisit this classic. SPOILERS abound below, but if you’ve managed to go this long without ever seeing the shower scene, I don’t know what to tell you. I watched PSYCHO (1960) on 10.14.15. It was my third viewing of the film, and first in probably a dozen years. Alfred Hitchcock certainly earned his reputation as the master of suspense. 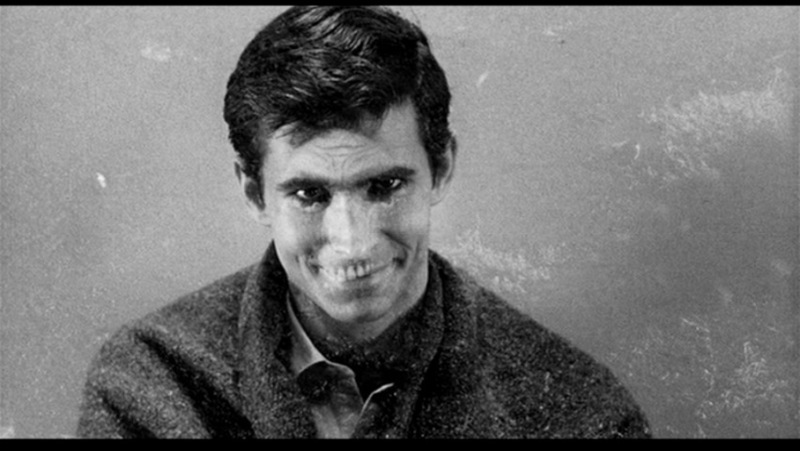 PSYCHO, though, may be the greatest example of making something out of nothing. Hitchcock, as has been widely mentioned through these pages, often employed what he called a MacGuffin. A MacGuffin being something of great importance to the characters of a film, which we as an audience know is ultimately meaningless to our interests in the characters and in why they do what they do. In PSYCHO, the MacGuffin is money. And Hitchcock makes sure that the camera cares very much about it. The story starts with Marion Crane (Janet Leigh) post-coital with her boyfriend Sam Loomis (John Gavin). They want to be married, but his father left him with a great number of debts. Later that day, Marion is asked by her boss to deposit $40,000 worth of money which a character tells us is merely his disposable income. The envelope of money is a central character. When it is left on a bed we focus on it. When Marion considers her bag, it is on our mind as an audience. When she puts it in a newspaper, that prop figures prominently. Marion has decided to steal the money, hoping to convince Sam that they should pay and run. But she never gets to him. 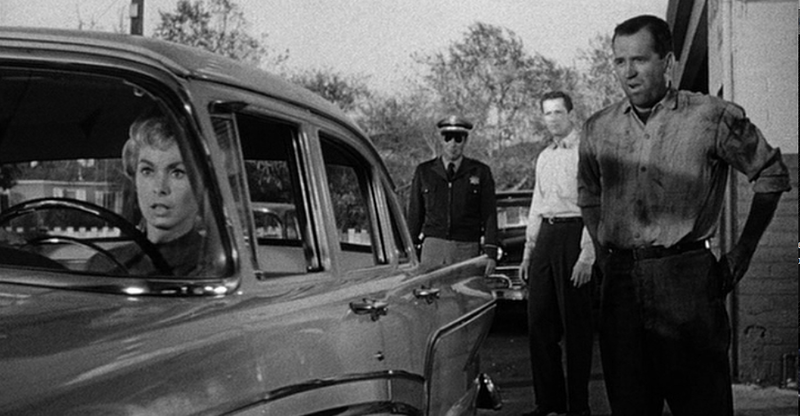 After some tailing by a police officer – which culminates in a magnificent shot (above) in which Hitchcock show three perfectly good men looking like a menacing and dangerous force – Marion holes up in the Bates Motel. But before we visit there, let us talk music. Bernard Herrmann turns in one of the best films scores in history, morphing a series of seemingly harmless shots into an intense period of suspense. His score contains only strings (which, I learned from a student recently, was initially due to budget restraints), but those strings are relentless. While the moment in the shower is among the most famous uses of music in film history, this score is much more than just that moment. This is a score which helps make an envelope of money seem evil, a well meaning police officer seem menacing, and a woman losing her grip on morality seem even more on edge. Returning to the plot, the Bates Motel is where we meet proprietor Norman Bates (Anthony Perkins). Norman presents as a kind man, if awkward, and we want to like him right away. He winks at Marion’s obvious attempts to hide her true identity at check in, but he makes the choice to put her in Room 1 when she says she is from out of state. Room 1, it turns out, is a room which gives Norman a private view. As an audience today, we all know where this is going. There is a strange scene in which we hear Norman’s mother screaming at him from the house at the top of the hill, an even stranger seduction scene, and the famous shower sequence. When Marion is killed, the movie changes. This comes at the 48 minute mark with almost exactly an hour left. We are then introduced to a new set of characters led by private detective Arbogast (Martin Balsam). He doesn’t make it too far either, leaving Sam and his dead girlfriend’s sister, Lila (Vera Miles), to investigate the Bates Motel. 55 years after its release, it is easy to forget how shocking a movie this was. While there are only two murders to be found, both come as a total surprise. The movie was billed as a Janet Leigh movie, and Hitchcock did his best to hide the story of the film (going as far as buying up all the copies of the book he could), and the shower scene was a truly horrifying moment when this movie hit theaters. It has – somewhat unfairly – overshadowed the equally visceral murder of Arbogast. His murder comes out of nowhere in a truly brutal attack. There is no safety to be found in this movie, and the final climax truly feels like a battle for life due to the fact that anyone can die at any time in this film. Of course, Hitchcock’s use of imagery in this film is legendary. There are a plethora of shots from a master filmmaker. Be it the cop’s large head in the window, the first sight of the house on the hill, Bates stroking a stuffed bird, knife pressing to flesh in the shower, the moment of attack – shot from overhead – at the top of the stairs, the spinning chair in the basement, or the final shot (above) of Bates face being melded with the skeletal face of his mother, before giving way to the car being pulled from the swamp. Hitchcock may have more entertaining films, but he may not have one that looks better. The performances in this film are good across the board, but it is Perkins’ Bates which rises to the level of iconic. It is easy, with some classic films, to overstate an aspect of a film due to a nostalgic desire (something this blog could be accused of without much trouble). But it would be disingenuous to call Perkins performance anything but an all-time great. Depending on the moment, his Bates is likable, detestable, scary, sympathetic, pitiable, and sinister. There is never a sense of gimmick to the role (save for Hitchcock cheating a little bit in assigning the voice of Bates’ mother to a couple of female actresses), and the fact that Bates is as powerfully villainous as he is should absolutely be attributed to Perkins’ performance. Hitchcock addresses several major themes in PSYCHO. Marion seems to trust men who are either bad or down on their luck, while she seems to deceive or mistrust any man who is good. The concepts of mental illness in this movie are certainly outdated, though an attempt is made to explain Bates’ madness through psychological description. The state of Marion’s conscious ebbs and flows throughout the film. She finally seems to make the right choice just before being offed, but it is too late to make up of the fact that she made the choice to steal in the first place. But to accuse this story of being a morality tale would be entirely disingenuous. More so than any many of Hitchcock’s films, the flaws of those characters who would be our protagonists are minor. Sure, Marion stole money. But it was for the noblest of reasons, and the film is careful to explain just how little than money will be missed by its owner. 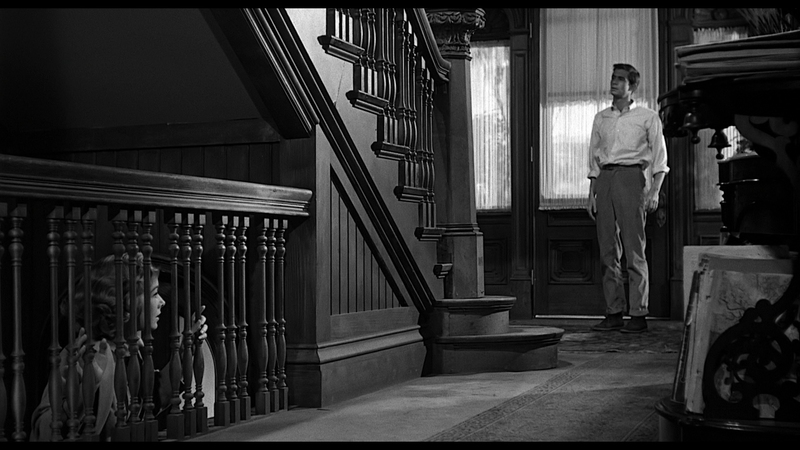 PSYCHO is a truly great thriller. It deserves its reputation. It has a legacy that is unquestionable. It has a power that is still accessible. And it has a place in history for as long as we will be watching movies. One bonus point for the film score, another for the cinematography. A mere bonus point each seems to be not enough to count the strength of each, but it will have to do. ~ by johnlink00 on October 15, 2015.